I do occasionally like to talk about gorgeous things that are way out of my price range, that I can’t help lusting after, or coveting. With that in mind today I’ve got a little designer feature for you. I did actually have the idea a while ago of doing this once a month, just sharing some of my all time favourite designers, and newer discoveries that had caught my eye, but I just didn’t get round to it so it never really happened! Now one of my favourite designer stores, Avenue 32 has asked me to do pretty much the same thing, so I’m taking this opportunity to tell you all about J. W. Anderson! Jonathan William Anderson was born in 1984 (a good year, same as me) in Northern Ireland, and graduated from the London College of Fashion in 2005 after finishing his degree in menswear. The J.W. Anderson label was then launched in 2008 with a men’s collection, and at the beginning of 2010 due to high demand, he decided to expand and launched his first capsule collection for women. I’m in love with J.W. Anderson’s Resort 2015 collection, it contains some beautifully sophisticated wardrobe staples, with subtle wrapping and knotting techniques which echo Anderson’s signature aesthetic. Fabrics are clean, crisp and fresh, with a limited colour palette making each piece easy to wear and incorporate into your current wardrobe. 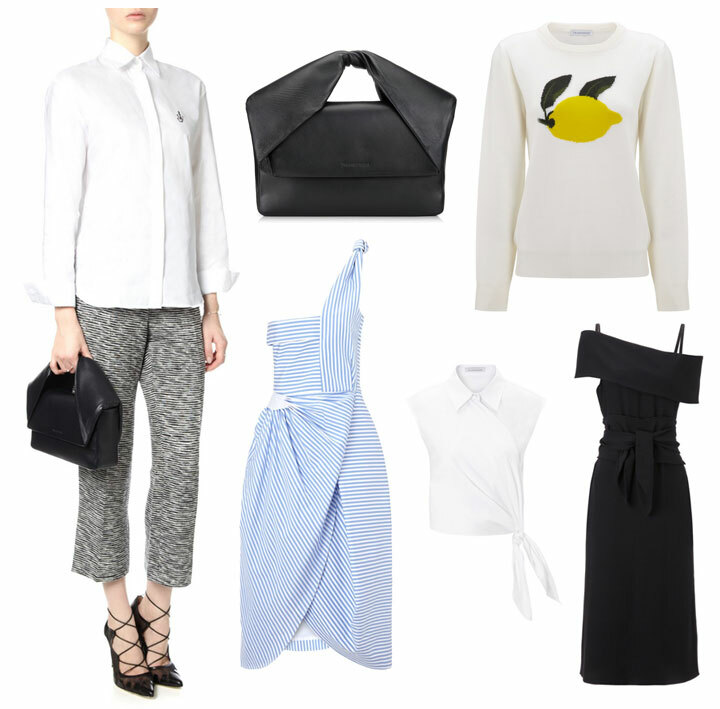 I particularly like the simple, origami-esque Midnight Leather Twist Bag, which would be a chic addition to any outfit, and the Blue Stripe Beach Bodice Dress with it’s modern detailing and subtle nod to nautical styling. I would absolutely love to have any of these pieces in my wardrobe! All the items above are available from Avenue 32, and I’d love to hear who your favourite designers are? Previous Post NEW Makeup Revolution Lip Lava Lipsticks – Too Faced Melted DUPE! Next Post Cohorted’s First Beauty Box! Love love loooove the shoes featured there!